Miley Cyrus "bearly" sticking out her tongue backstage at the 2013 MTV Video Music Awards in Brooklyn, New York. Miley Cyrus is tired from twerking backstage at the 2013 MTV Video Music Awards in Brooklyn, New York. Robin Thicke looking ready to referee a Brooklyn Nets game backstage at the 2013 MTV Video Music Awards in Brooklyn, New York. Miley Cyrus gets cheeky with Robin Thicke backstage at the 2013 MTV Video Music Awards in Brooklyn, New York. 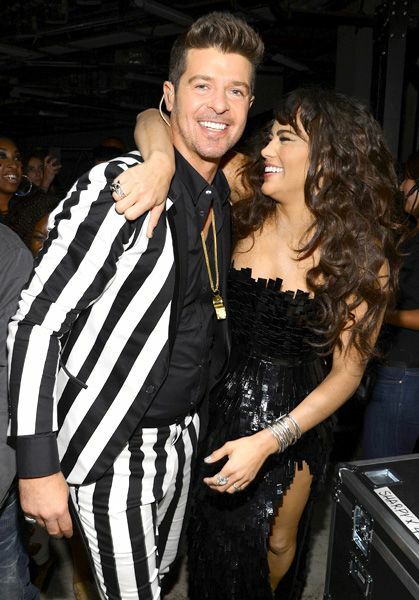 Robin Thicke and Paula Patton trade smiles backstage at the 2013 MTV Video Music Awards in Brooklyn, New York. Macklemore and Lil' Kim hug it out backstage at the 2013 MTV Video Music Awards in Brooklyn, New York. 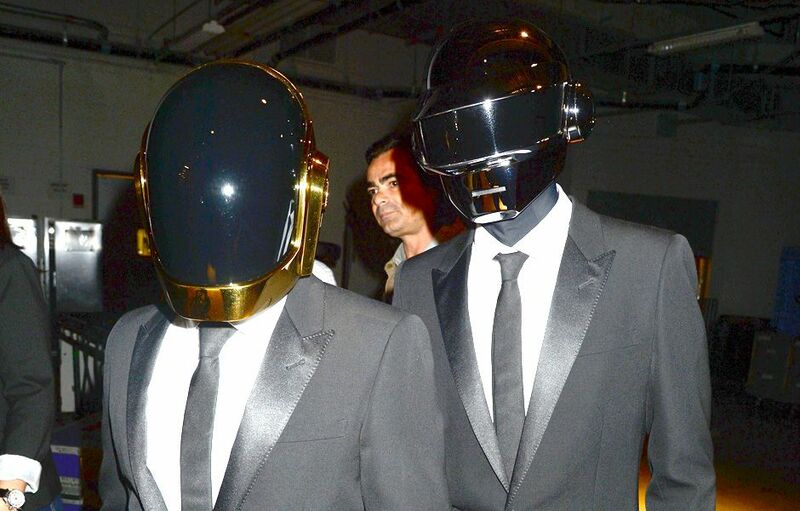 Daft Punk suit up backstage at the 2013 MTV Video Music Awards in Brooklyn, New York. 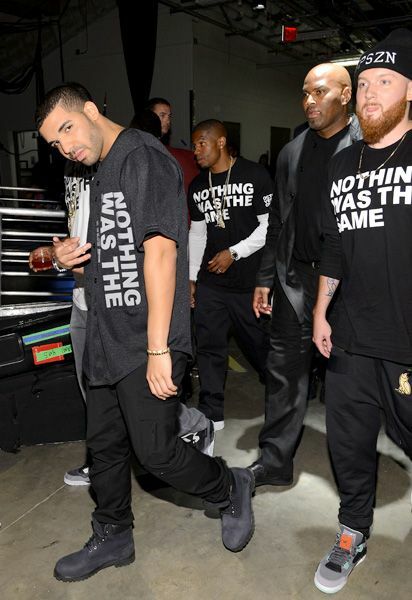 Drake and his peeps backstage at the 2013 MTV Video Music Awards in Brooklyn, New York. Lady Gaga enjoys a much-deserved drink backstage at the 2013 MTV Video Music Awards in Brooklyn, New York. Lady Gaga gives One Direction some fashion pointers backstage at the 2013 MTV Video Music Awards in Brooklyn, New York. Lady Gaga proving she could be the sixth One Direction member backstage at the 2013 MTV Video Music Awards in Brooklyn, New York. 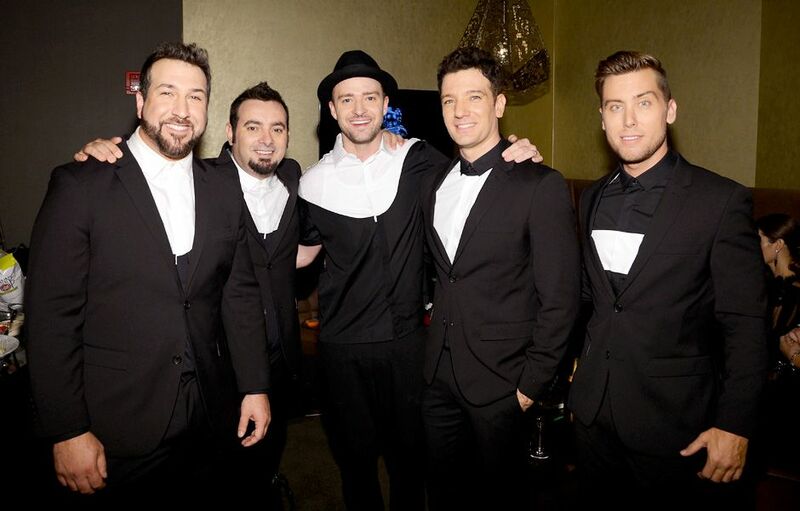 *NSYNC finally back together backstage at the 2013 MTV Video Music Awards in Brooklyn, New York. 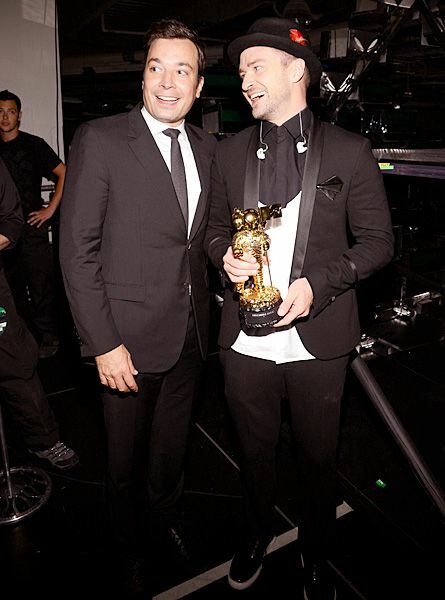 Jimmy Fallon and Justin Timberlake laugh (about "Vanguard Award In A Box?") backstage at the 2013 MTV Video Music Awards in Brooklyn, New York. 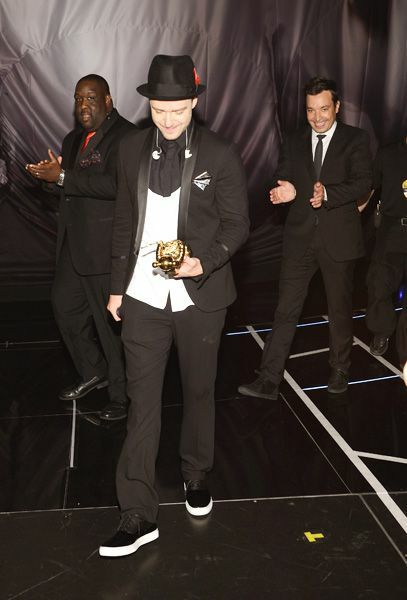 Justin Timberlake reflects on his Video Vanguard award win at the 2013 MTV Video Music Awards in Brooklyn, New York. Shailene Woodley with Vanessa Bayer doing her best Miley Cyrus impression backstage at the 2013 MTV Video Music Awards in Brooklyn, New York. 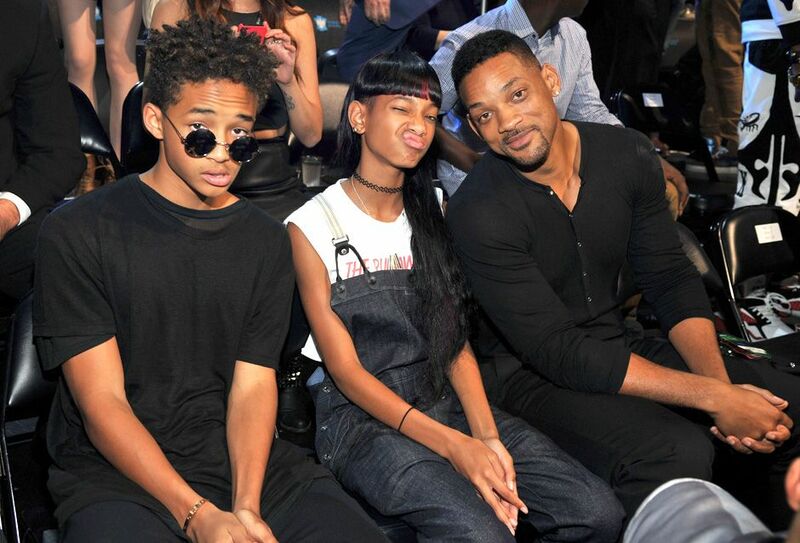 Jayden, Willow, and Will Smith at the 2013 MTV Video Music Awards in Brooklyn, New York. 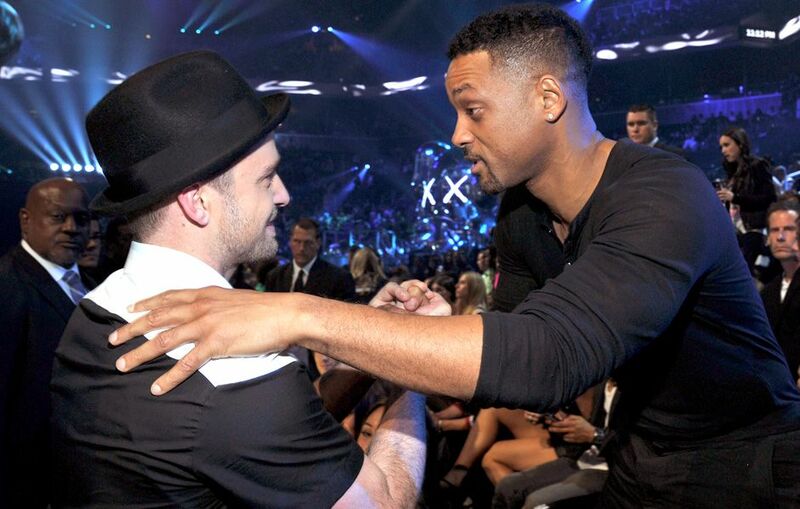 Will Smith congratulates Justin Timberlake at the 2013 MTV Video Music Awards in Brooklyn, New York. Taylor Swift with Selena Gomez at the 2013 MTV Video Music Awards in Brooklyn, New York. 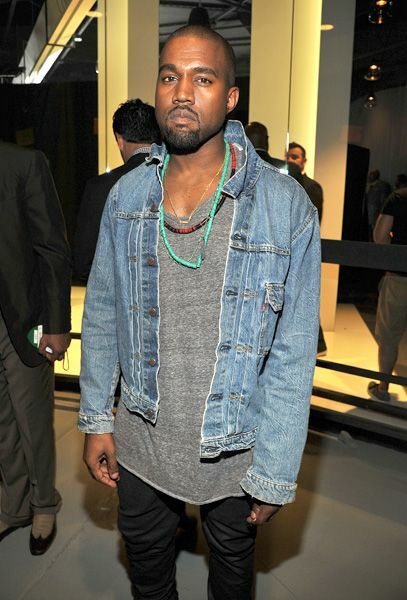 An ebullient Kanye West rejoices backstage at the 2013 MTV Video Music Awards in Brooklyn, New York. 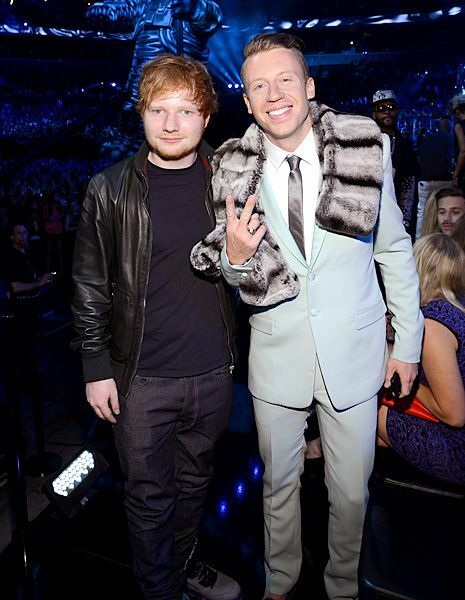 Ed Sheeran and Macklemore bring some ginger heat to the 2013 MTV Video Music Awards in Brooklyn, New York. 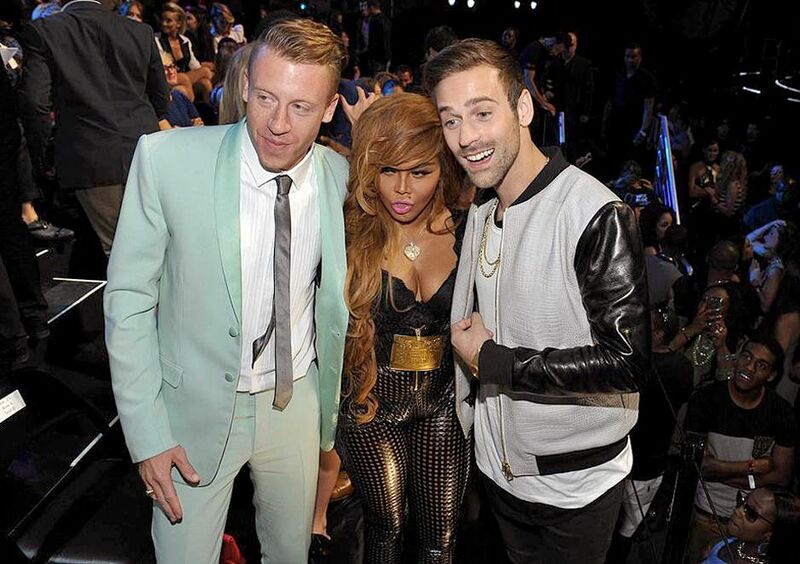 Macklemore & Ryan Lewis with Lil' Kim photographed at the 2013 MTV Video Music Awards in Brooklyn, New York. 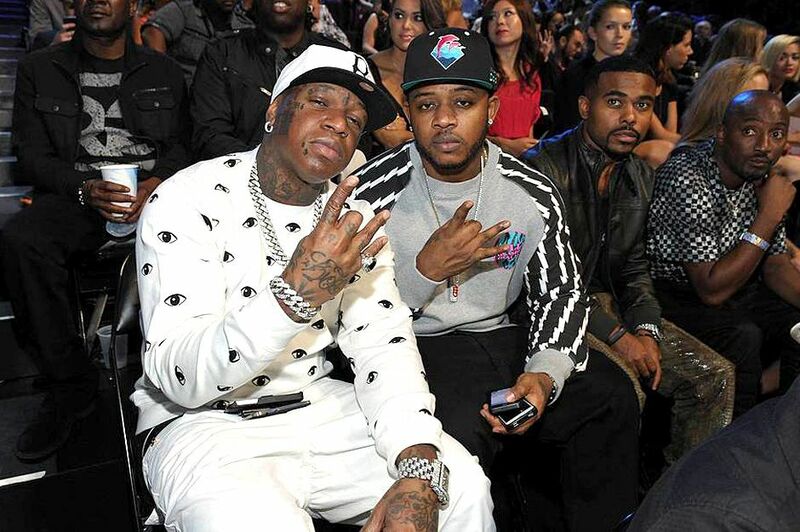 Birdman, Mack Maine, and MTV2's 'Ain't That America' Lil Duval at the 2013 MTV Video Music Awards in Brooklyn, New York. Rihanna and Harry Styles pose for the camera at the 2013 MTV Video Music Awards in Brooklyn, New York. Bruno Mars getting loose at the 2013 MTV Video Music Awards in Brooklyn, New York. 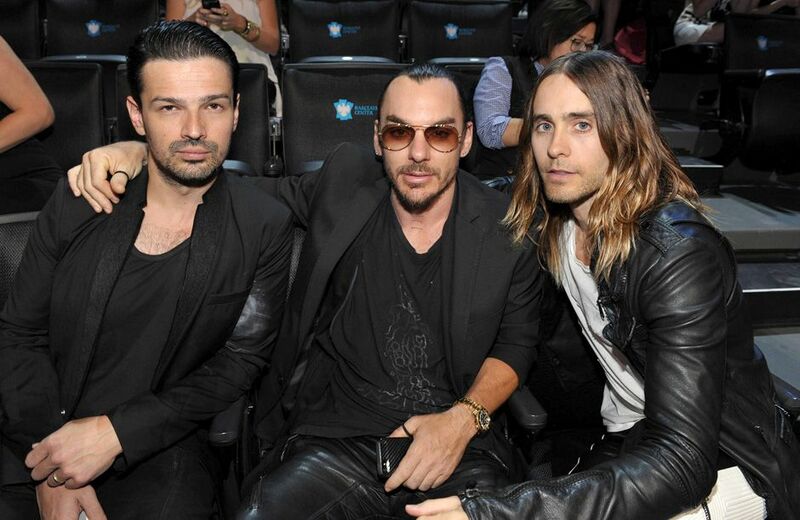 THIRTY SECONDS TO MARS looking classic in black at the 2013 MTV Video Music Awards in Brooklyn, New York. Lady Gaga poses with her choreographer Richy Jackson at the 2013 MTV Video Music Awards in Brooklyn, New York. Taylor Swift giving seductive side-eye with a dashing Drake at the 2013 MTV Video Music Awards in Brooklyn, New York. 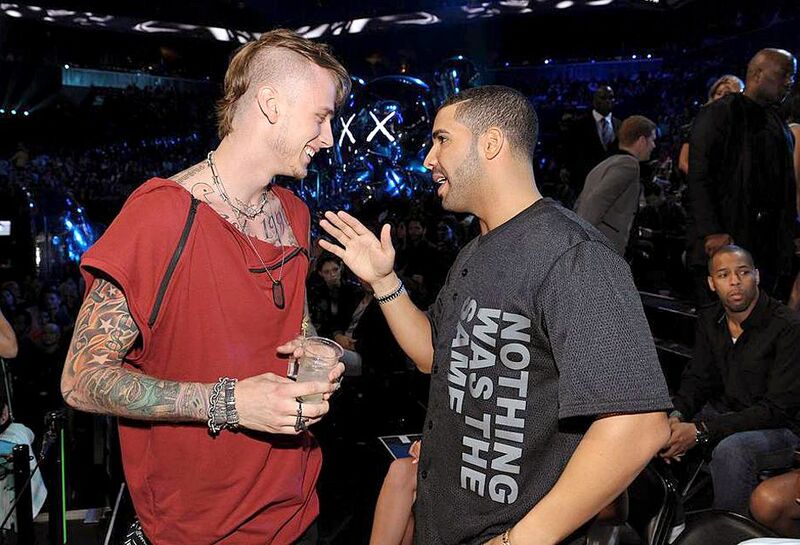 MGK with Drake photographed at the 2013 MTV Video Music Awards in Brooklyn, New York. Adam Lambert smizing for the camera at the 2013 MTV Video Music Awards in Brooklyn, New York. 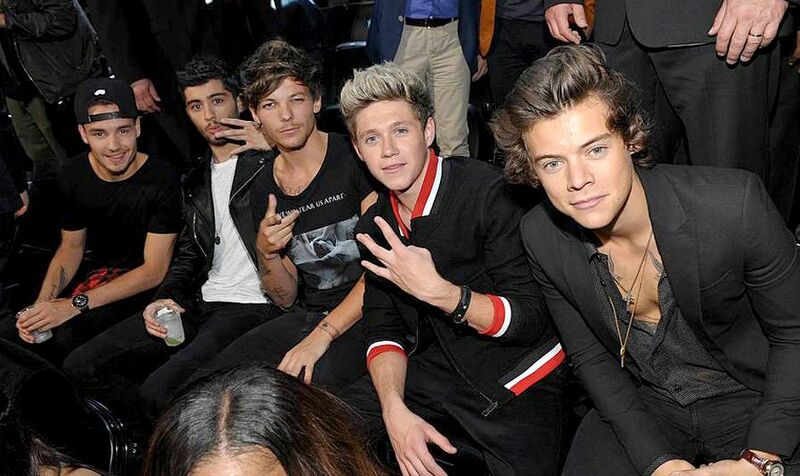 One Direction photographed backstage at the 2013 MTV Video Music Awards in Brooklyn, New York. Ellie Goulding looking radiant at the 2013 MTV Video Music Awards in Brooklyn, New York. 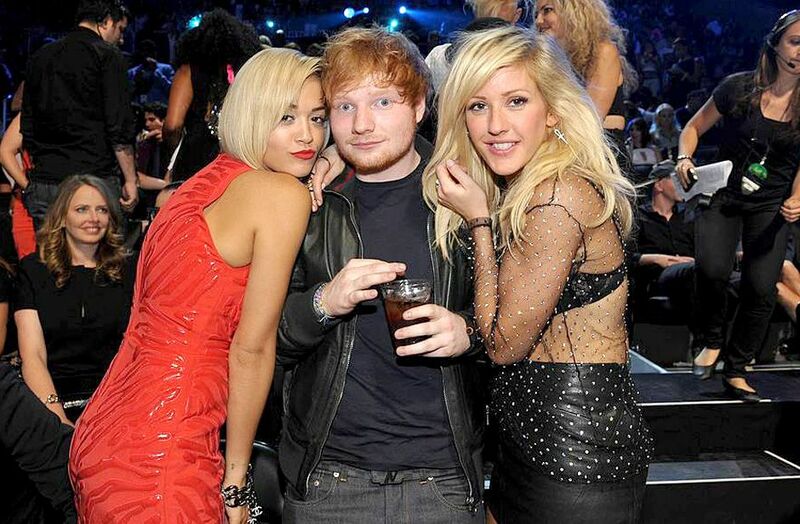 Rita Ora, Ed Sheeran and Ellie Goulding photographed at the 2013 MTV Video Music Awards in Brooklyn, New York. Rita Ora and Iggy Azalea serving checkerboard glamour at the 2013 MTV Video Music Awards in Brooklyn, New York.